As you plan your final philanthropic activities of 2016, we hope you will consider the Arizona Technology Council Foundation. 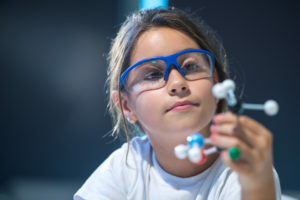 The AZTC Foundation is a leader for protecting and supporting Science, Technology, Engineering, and Math (STEM) education programs in the state of Arizona. We are dedicated to enhancing the STEM activities available to students through projects, fairs, competitions, and festivals, like the upcoming SciTech Festival, that focus on STEM learning and related fields. STEM represents the disciplines of knowledge by which we understand, measure, and design our world. Education in these fields should involve an integrated, interdisciplinary approach to learning that provides project-based experiences to students. This practice gives students the opportunity to make sense of the world holistically, rather than in bits and pieces, and it removes the traditional barriers commonly present between the four disciplines. Not only do STEM programs enhance a student’s ability to understand the world, it also expands their scope of learning. The underlying goal of these efforts is to motivate students to seek career paths in STEM-related fields, especially female students. The AZTC Foundation assists students who are pursuing STEM careers through scholarships and grants, both of which would not be possible without our generous donors. All donations made to the AZTC Foundation are tax-deductible, and there’s still time to get your 2016 donation in! Donations are easily accepted via check (please mail to: The Arizona Technology Council Foundation, 2800 N Central Ave, Ste 1920, Phoenix, Arizona, 85004), or through our PayPal account on this page.